Do you share our vision to deliver exceptional education for students? Are you passionate about providing the highest standards of teaching and learning for all children? 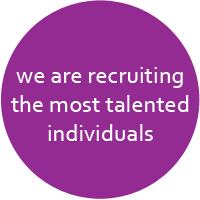 We are currently recruiting and are actively seeking the most talented individuals in the education and support professions to join our team and to help us to transform the lives and life chances of all our children.